I have to admit that the design of the box surpasses any other model I tested so far. The person has already opened the package , tat is paper carton based box , opened frm the bottom or the top sides of it. Upon opening it , the box can be opened and closed from the carton lid on the top side . With little chaeck , we found that the lid has a magnet on the carton bottom with two mini magnets . /.They can be found once the lip is open! Once opened there is a very nice back colored keeper designed to keep intact the ears. And on the bottom of the box there is a warranty card and a notice booklet and the necessary sponges to keep the sweat out of the earbuds (?) . And the ears have a very nice and quite slim design. As they can be seen from the pictures , except the special design , they use a near transparent plastic cover that nearly shows the inside parts. What is also very nice on he top of the plastic design , there is the logo of the company. Having tested in parallel with the Koss earphones found that the audio is quite good though not so bassy as the Sparkplug, exactly saying is as like a old HiFi not using the loudness switch . Volume levels are the same and listening to them is quite nice even for long time. Αναρτήθηκε από Zach Liang στις 11:52 μ.μ. DANGEROUS !!! !THIS LAMP WILL HARM YOU ! 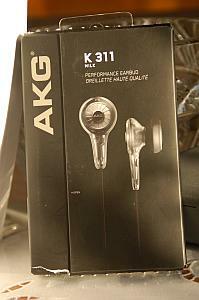 unknown brand earphones with nice design! My MP3 player was dead and then 'raised' again!! Mebook Part #2 : review on audio files !